South32’s longwall developments at Illawarra Coal in New South Wales continue to pay off with improved production results. The company’s production reached 3.8 million tonnes at Illawarra in the December 2018 half year, representing a 106 per cent increase on the same half a year earlier. South32’s performance was driven by longwall moves at the Dendrobium and Appin collieries. 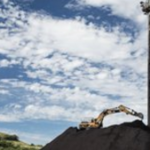 Stockpiles of metallurgical coal were also established at Illawarra during the latest half-year period in advance of two longwall moves in the current quarter. This sustains a positive streak at Illawarra since the September quarter last year, when production jumped to 1.5 million tonnes from 494,000 tonnes a year earlier, putting an end to Illawarra’s bout of losses. Illawarra’s production guidance for the 2019 financial year is now sitting at 6.5 million tonnes. This is expected to reduce Illawarra’s unit cost. However, South32 noted that “a substantial uplift in development rates at Appin is required” to sustain the simultaneous operation of two longwalls from the second half of the 2020 financial year. 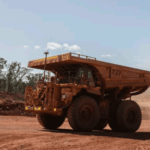 At Australia Manganese, meanwhile, South32 achieved record performance with a 6 per cent increase in production to more than 1.8 million wet metric tonnes in the December 2018 half year. 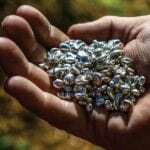 Australia Manganese’s primary circuit is said to continue achieving high utilisation rates, while its premium concentrate ore circuit exceeded its design capacity by around 120 per cent. The operation’s production guidance for the 2019 financial year remains the same at 3.35 million wet metric tonnes due to the wet season. There are also changes to South32’s leadership team, with head of treasury Katie Tovich succeeding Brendan Harris as chief financial officer, and Harris taking over from Peter Finnimore as chief marketing officer. “These appointments mark the culmination of a succession process that highlights the diverse talent within our organisation, whilst broadening the skills and experience of our leadership team,” Kerr said.